A full Peruvian/1/2 Accoyo daughter of the famous Torbio. Financing can be discussed with buyers for we are flexible, just ask and we can be creative. 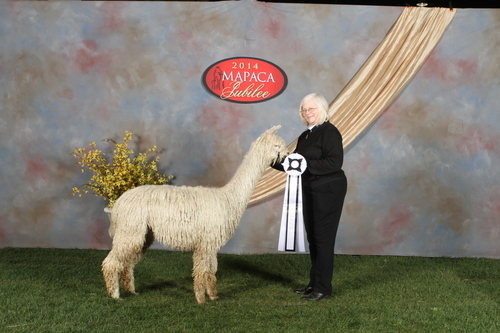 We can offer free transportation for your new alpaca 250 miles from our farm. We can also provide transportation on a cost basis for longer distances.